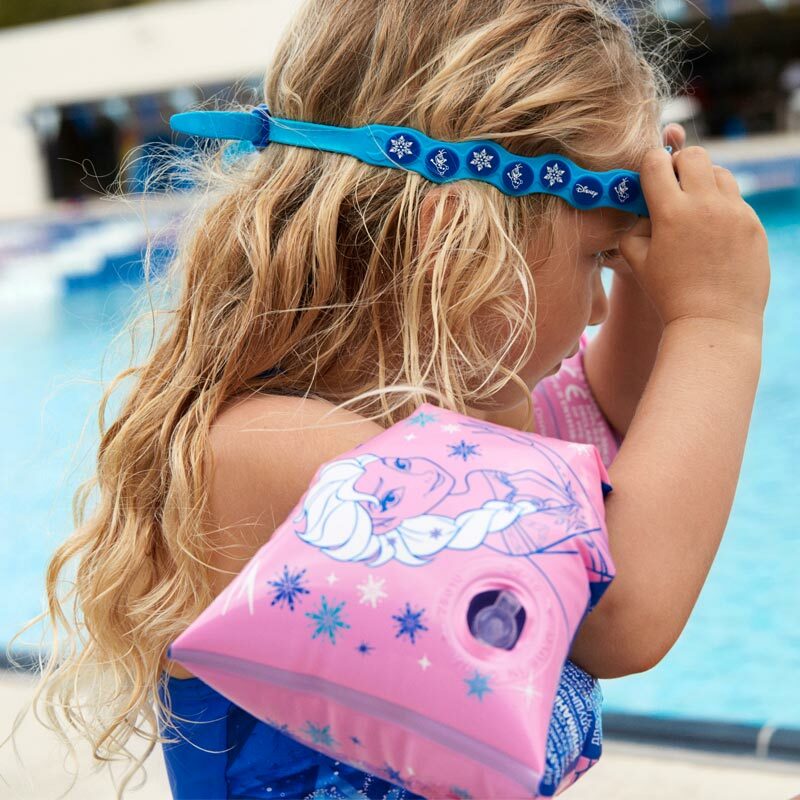 The Speedo ® Frozen Armbands and Goggles Set is designed for infants aged 2-6 years of age who are learning to swim. 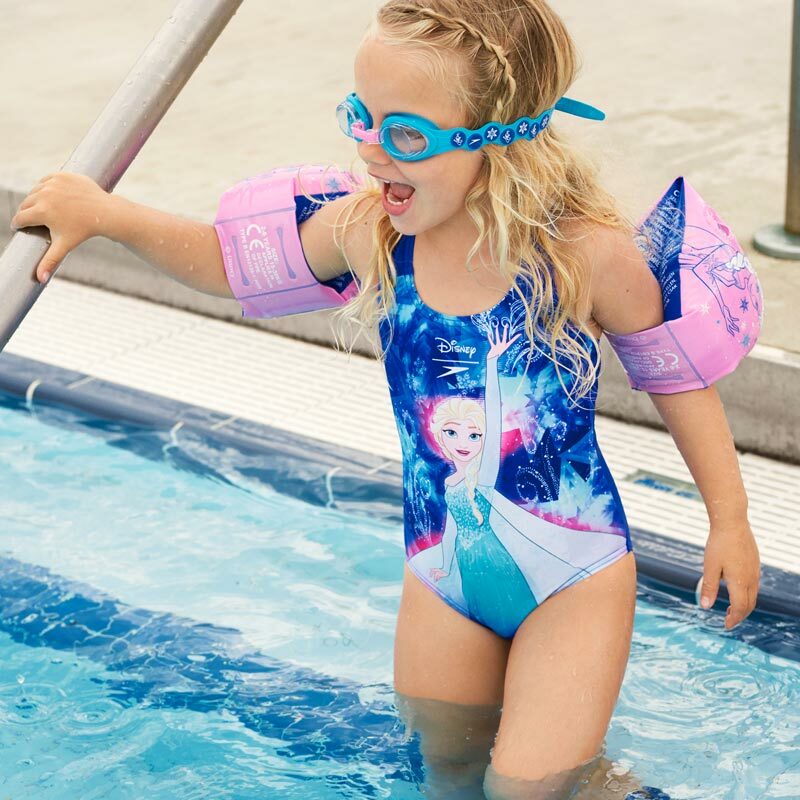 It helps your little swimmer improve their confidence. 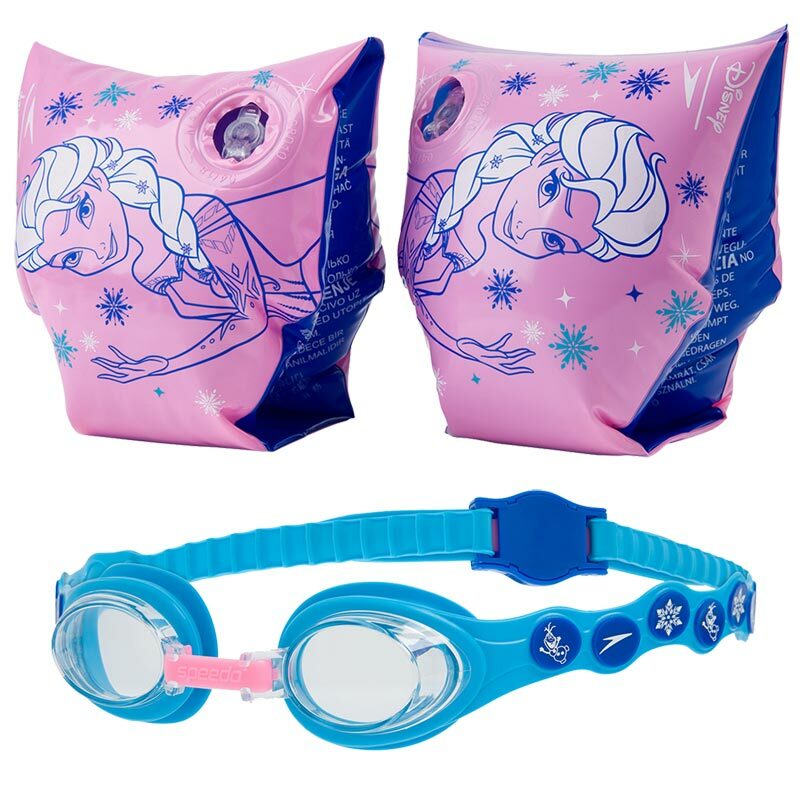 1 x Speedo Frozen Pair Armbands. 1 x Speedo Frozen Goggles. Suitable for 2-6 years old. Colourful Disney Frozen character print. Children must be under supervision at all times while using this product.